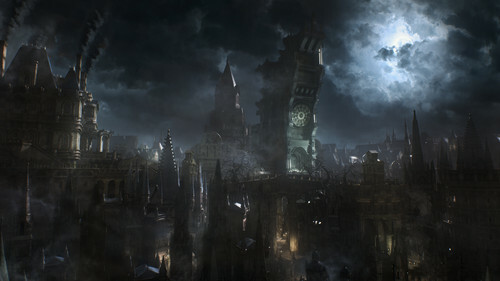 Yharnam (Bloodborne). . HD Wallpaper and background images in the ভিডিও গেম club tagged: photo bloodborne video game from software gothic dark. This ভিডিও গেম wallpaper might contain ফোয়ারা.